This is a multi-lane construction project on SR 77 that is being constructed by a design-build team. The project consists of widening the existing roadway from 2 to 4 lanes, drainage and safety improvements, and placement of new signs and pavement markings. 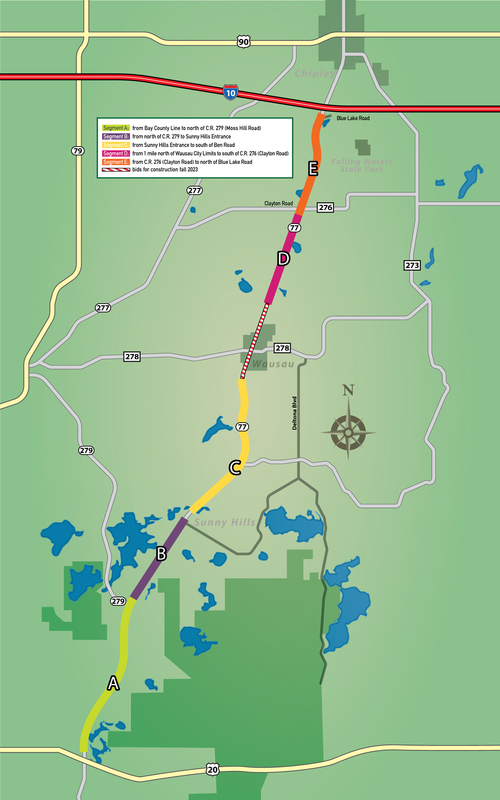 This widening project is part of a continuing effort by the FDOT to improve safety along this hurricane evacuation route, ease congestion of the SR 77 corridor and encourage economic development opportunities in Washington County. Motorists may experience minor travel delays during some activities as heavy equipment enters and exits the work zone. Construction activities are weather dependent and might be delayed or rescheduled in the event of inclement weather. Motorists are reminded to use caution and to watch for heavy equipment and construction workers entering and exiting the roadway.